From the very beginning of creation, God has been present filling the world with the wind of the Spirit. The comforting news is that God was present, still is present, and always will be present to us. God comes to us sometimes in unexpected ways. Remember that Jesus is with us even in scary times to remind us to have faith in him. 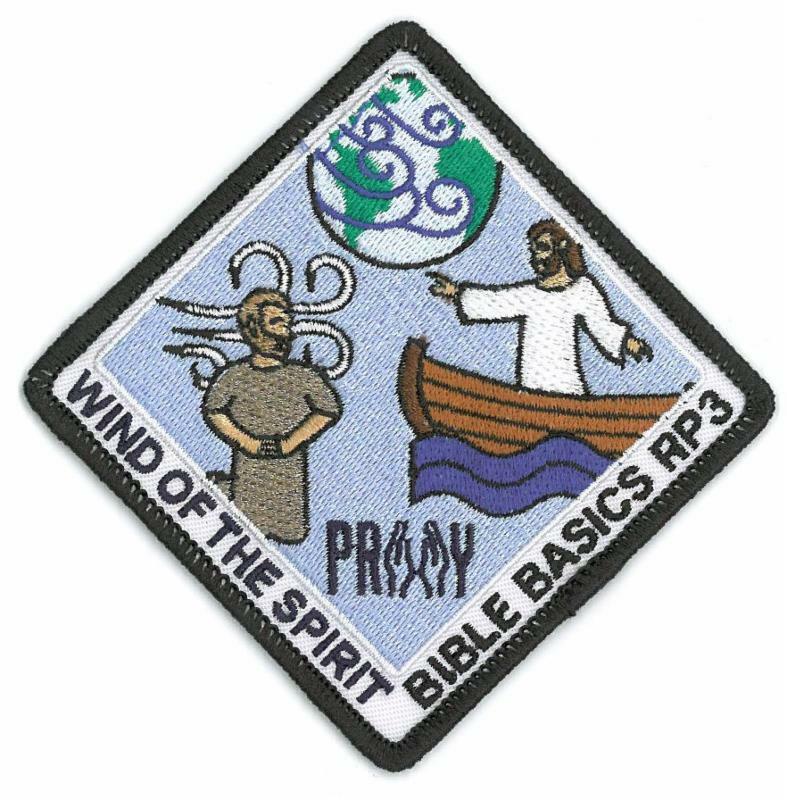 Purchase the new Wind patch in the PRAY webstore . Martin Luther said, “The Bible is the cradle wherein Christ is laid.” By sponsoring a patch, you are reaching out to children, youth and families and nurturing a lifelong love of Holy Scripture. A patch sponsorship costs $1,000 to help cover the startup expenses of new curriculum and patch inventory. Please consider sponsoring a patch.  Click here to see the patches available for sponsorship. Call P.R.A.Y. at 1-800-933-7729 to sponsor a patch today. 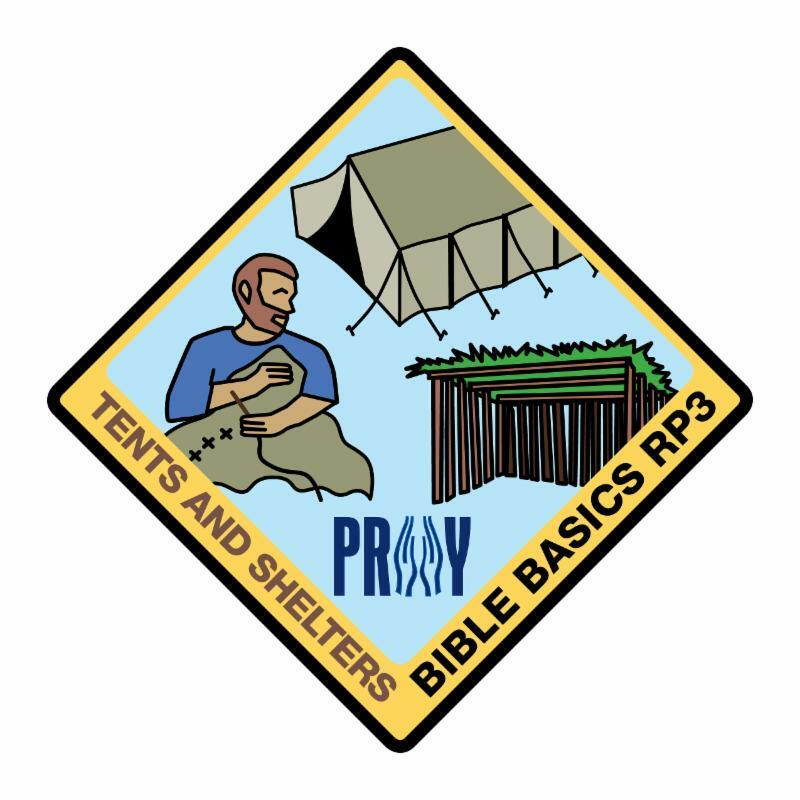 AHG Troop FL8811 chartered by Hopeful Baptist in Lake City, Florida earned two of the Bible Basics RP3 patches last year, but this year they are taking it to a new level: Pioneers (middle school aged girls) are now responsible for teaching the RP3 lessons to the younger girls. Once a month, the Pioneers take turns leading a lesson. In the fall they taught “The Good Book,” and now they are working on “Holes.” Amanda W. recently taught the Bible lesson on the “Blind Leading the Blind” and led the group in playing Simon Says and doing a Trust fall. 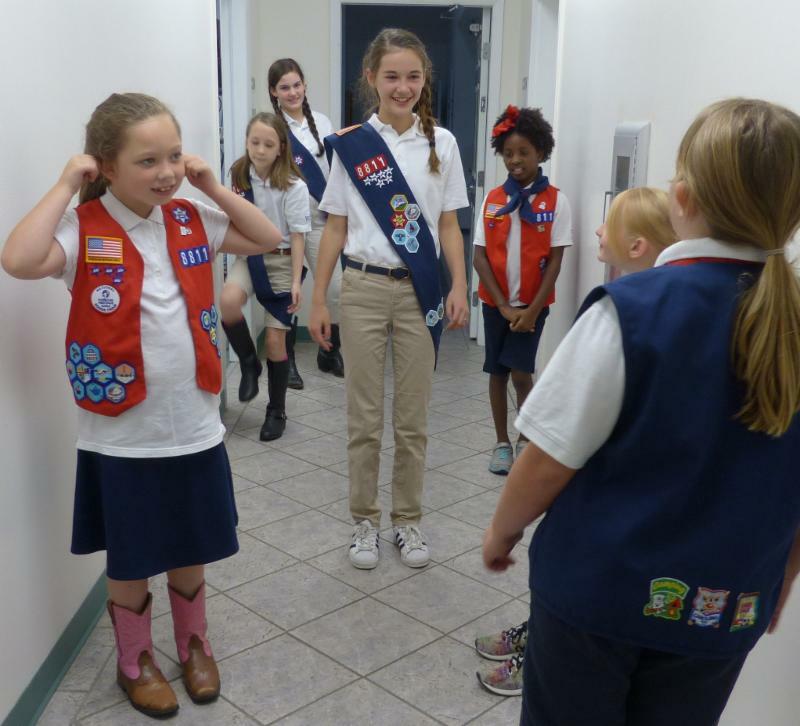 According to Troop Coordinator Paula Winstead, “ I love that the lessons are so well-written that young people can be mentors to people who are even younger. It gives them the opportunity to be leaders and to see how easy it is to share God with others. It's very neat each week to watch these 12-year-old girls lead a group of 5 to 9-year-olds in Bible study and related activities without having to rely on adults. It boosts their confidence and willingness to lead more in the future and gives the younger girls something to aspire to." 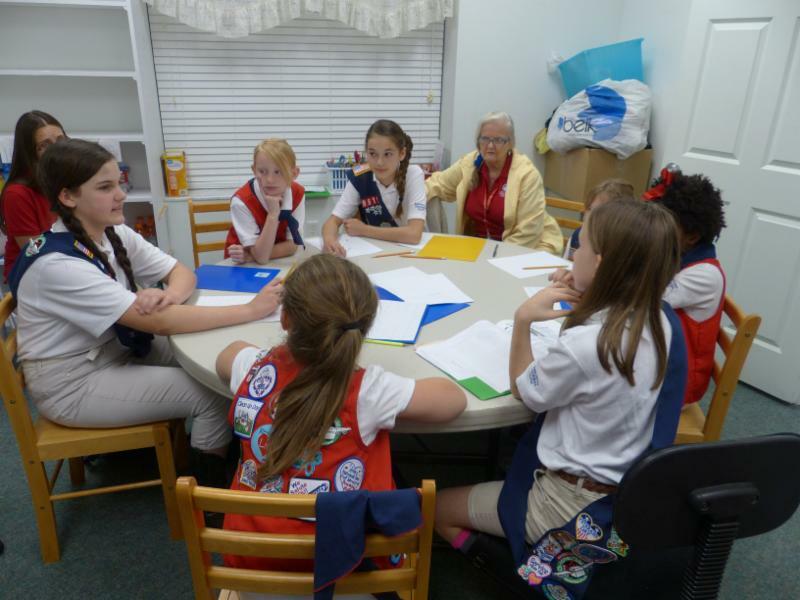 Thank you for a great program that makes it easy to incorporate spiritual growth into our troop meetings. 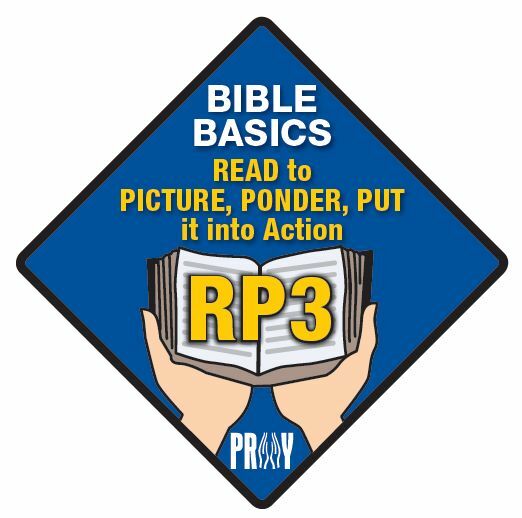 Vivian Morgan, Troop Shepherd for Troop 2206 in New Mexico, is using P.R.A.Y.’s RP3 patches to teach important Bible lessons to her American Heritage Girls. She uses the RP3 lessons for devotions with the Troop, but then assembles individual packets with the materials needed for each girl to complete the activities at home. Pictured here is one of the sample activities. 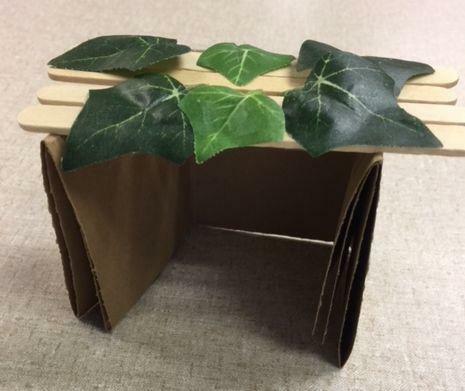 This is a “Booth” built from craft sticks from the “Tents and Shelters” patch. Students read about the Festival of Booths in Leviticus how God commanded the Israelites to celebrate the Feast of Tabernacles and live in “booths” or temporary shelters. Girls built their own booth to remember tough times and to celebrate with joy how God always provides for us. Thank you, Vivian, for sharing your resources with the P.R.A.Y. Community! Check out her “Birds of the Air" packet and the “Tents and Shelters” packet . 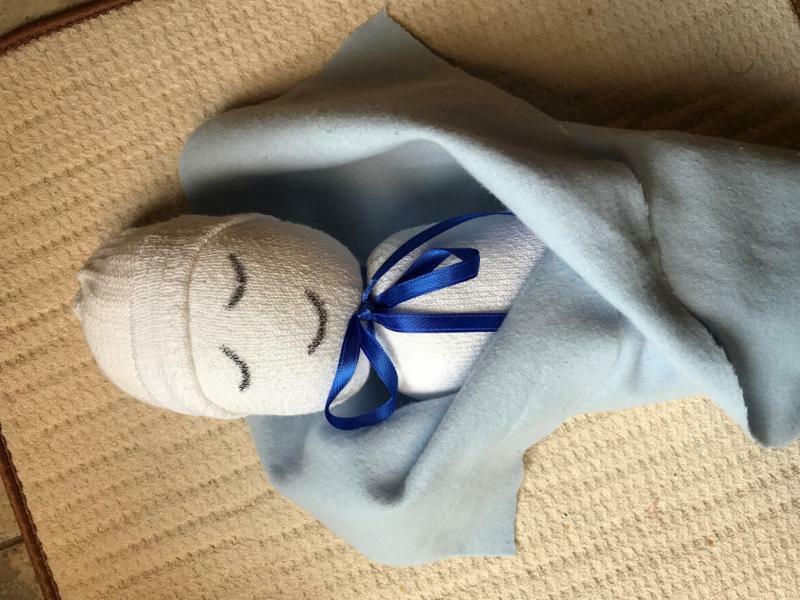 Visit P.R.A.Y.’s Community Hub to access these and other supplemental materials created and shared by friends of P.R.A.Y.